Southworth White 100% cotton rag 32# paper hand-crafted to envelope form. 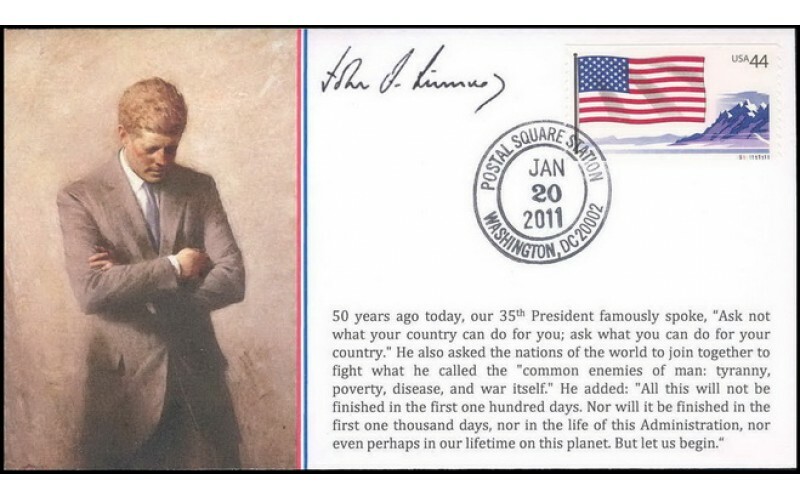 50 years ago today, our 35th President famously spoke, "Ask not what your country can do for you; ask what you can do for your country." 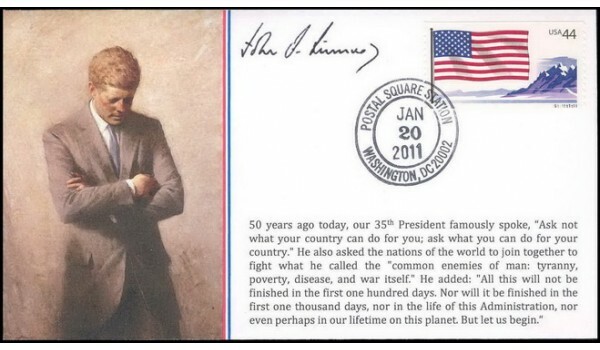 He also asked the nations of the world to join together to fight what he called the "common enemies of man: tyranny, poverty, disease, and war itself." He added: "All this will not be finished in the first one hundred days. Nor will it be finished in the first one thousand days, nor in the life of this Administration, nor even perhaps in our lifetime on this planet. But let us begin." Kennedy was initially dogged by suggestions from some Democratic Party elders (such as former President Harry Truman, who was supporting Symington) that he was too youthful and inexperienced to be president; these critics suggested that he should agree to be the running mate for a "more experienced" Democrat. 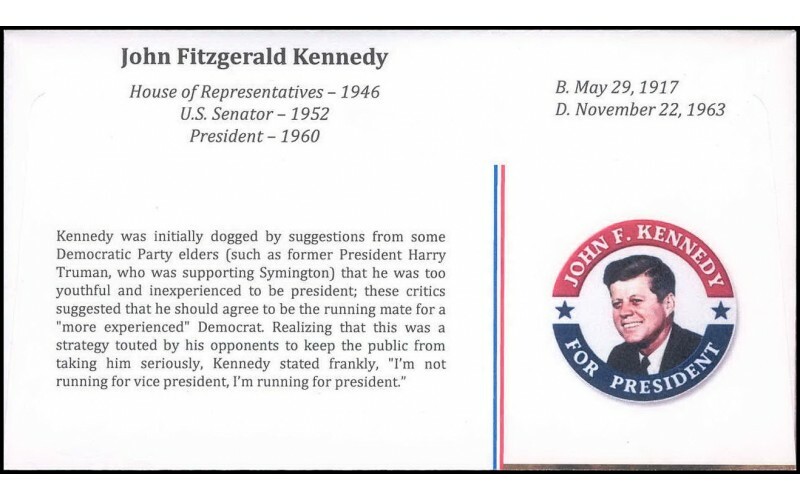 Realizing that this was a strategy touted by his opponents to keep the public from taking him seriously, Kennedy stated frankly, "I'm not running for vice president, I'm running for president."